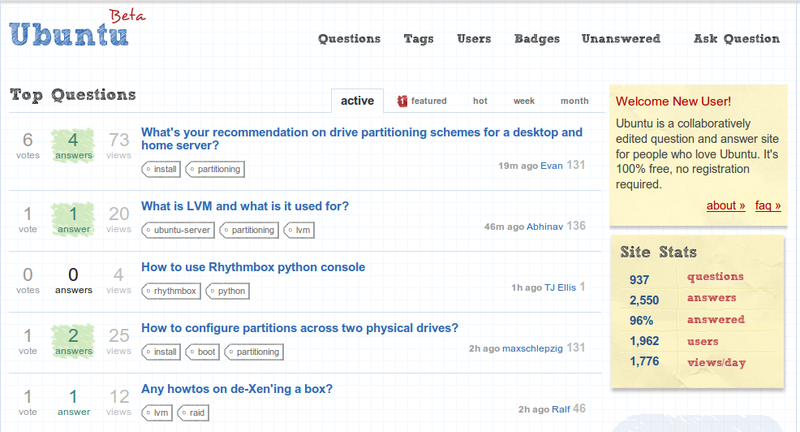 Ubuntu Stack Exchange is a free, community driven Q&A site for Ubuntu users and developers. 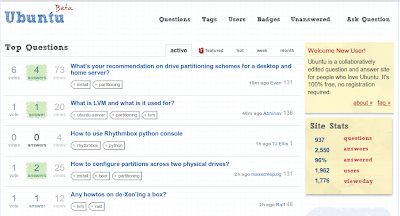 Ubuntu Stack Exchange is a Q&A site, currently in public beta, designed to make it easy for users to get answers to Ubuntu-related questions. It's also a place for users to share their knowledge about the Ubuntu Platform. So how do you do it? ?